Financial Accountant with about 3-4 years valid experience, usage of ERP software is a must. All interested applicants should forward CV to recruitment@hazonholdings.com. selected candidates will be invited for interview this Thursday 29th March. Account executive/project mgrs- 2-3 years in an experiential marketing experience or any BTL agency with HND/degree can apply .location Lagos. An OND graduate with over a year client relationship /sales experience in an HMO .location is Abuja. HR generalist with 2-3 years valid experience in FMCG sector, usage of ERP is added advantage. There is a vacancy for the position of Training Manager at Eaglesworld Consult, Ajah Lagos. The candidate will be responsible for the corporate training, certification and external examination. Candidate must have at least 5 years cognate experience. Kindly send your CV to careers@imaxinacion.info stating React Developer as the subject. Requirements/Experience: • Candidate must have a Minimum of 6 years in Sales; preferably in the carbonated beverages industry or similar. • You will lead the commercial operation of a designated territory within a region. • Develop direct and indirect sales channels by coming up with appropriate plans and measurement tools which will grow the company’s volume, raise its profitability and increase the market share of its brands. If you are dynamic go-getter and a team player who will contribute to the success of your team, your department and your company, then apply for this role today. Send your CV to recruiter1@elevantix.com using Job Title Regional Sales Manager (Location) as subject of the mail. B.Sc./HND in Logistics Management or a related Course. • A Professional Certification in Warehouse Operations or Supply Chain/Materials Management will be an added advantage. • Knowledge of Tally for reporting will be an added advantage. • Knowledge of Tyres will be additional advantage. To install and configure computer hardware operating systems and applications • monitor and maintain computer systems and networks • talk staff or clients through a series of actions, either face-to-face or over the phone, to help set up systems or resolve issues • troubleshoot system and network problems, diagnosing and solving hardware or software faults • replace parts as required • provide support, including procedural documentation and relevant reports • follow diagrams and written instructions to repair a fault or set up a system • set up new users' accounts and profiles and deal with password issues • respond within agreed time limits to call-outs • work continuously on a task until completion (or referral to third parties, if appropriate) • prioritise and manage many open cases at one time • rapidly establish a good working relationship with customers and other professionals, such as software developers • test and evaluate new technology • conduct electrical safety checks on computer equipment. Send your CV to the address below: jobs@dolphingroupng.com and use (IT Support 042LA) as Subject. 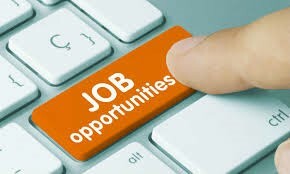 A non-governmental organisation , based in Lagos; that works in the areas of provision of services for gender based violence survivors, advocacy, aid and empowerment for women and the less privileged in the society requires the service of a PROGRAM OFFICER officer. Send CV to godi@mcabrahams.com with Email Title Program Officer on or before Monday April 2nd. 2018. Interested and qualified candidates should forward their Resume to: cv@cambelshipping.com Application Deadline 30th April, 2018. BSc / HND base • Tender/ Bid preparation, Commercial Terms and Bid. Job Title: Electrical Engineer Location: Lagos Qualification: BSc / HND Job Description • Electrical design Drafting of electrical design with Autocad Extra low voltage design Knowledgeable in automations e.g. Pump control system Team Player. Currently recruiting for a qualified Accountant for a reputable client in Lagos with minimum 5 years experience.